Hasbro CEO Brian Goldner was a bit more muted when asked about Toys ‘R’ Us’s possible comeback. 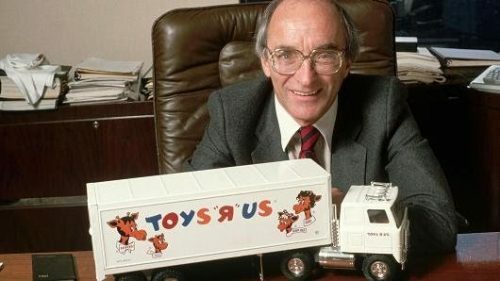 The new owners of Toys “R” Us want to bring the brand back to the United States. But they can’t say when it will happen. The troubled toy company found another life last month as Tru Kids Brands, roughly half a year after Toys “R” Us closed the last of its stores in the United States. It is now owned by the company’s former creditors. More than 700 American Toys “R” US stores closed last spring. But the company kept 900 stores open in Europe, Asia and India. The new owners have plans to open another 70 stores overseas — mostly in Asia — by the end of the year. They’re also considering plans for the US market, including brick-and-mortar stores and online sales, though it’s not clear when a relaunch would happen. FOX6 has the full story. There is a new development in the closing of Toys R Us. Ollies, who purchased most of their remaining inventory, is now taking over some locations and leasing them out. How bad shape TRU must have been in if a discount chain has enough liquid cash to take over both their inventory AND real estate. CNN has the full story. Special thanks to friend Martin M. for the alert to this news. The private equity firms that owned Toys “R” Us before its bankruptcy are each pledging $10 million to establish a fund to distribute severance payments to former employees. LinkedIn.com has the full story. Special thansk to friend Nick for alerting me to this article! Ollie's Finally Advertising $200M Toys R Us Liquidation Stock! 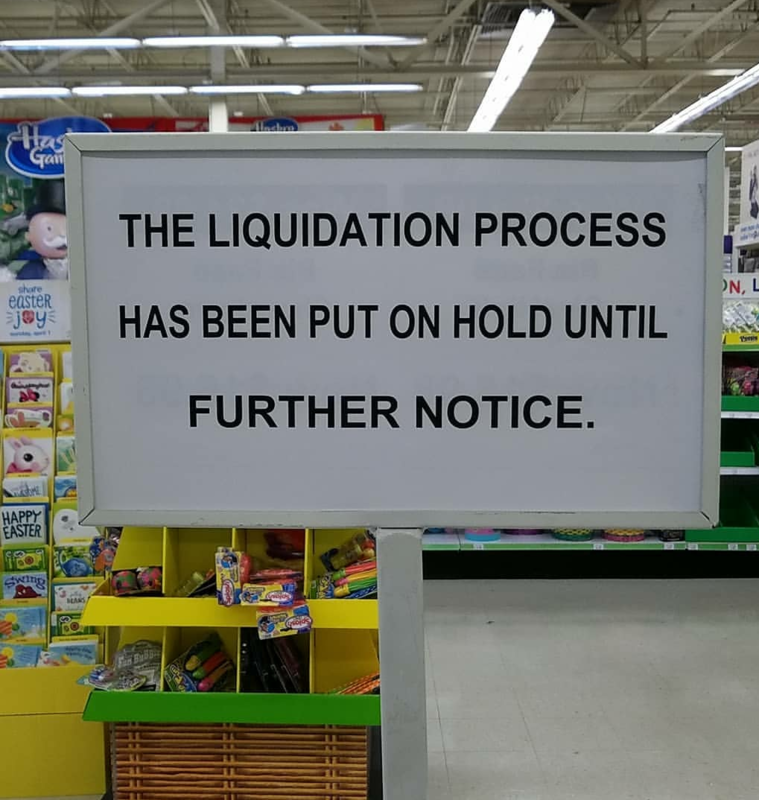 Although reported right before the summertime, Ollie’s discount stores are now receiving Toys R Us’ liquidated products. If you have a store near you, it might be worth checking out their stock. Apparently, they’ve acquired $200 million of Toys R Us’ stock, which is pretty astounding. Special thanks to JTA reader Monteleone for the image. The news about “Toy City” stores getting set up in former Toys R Us and Babies R Us locations broke around June, but now these pop-up stores are finally getting things started. JTA reader Bryan L. sends us an image of progress being made in California. For those that aren’t aware, this is a Party City company and more information about them can be found HERE. ← Labor Day Sale at Star Wars Authentics - Buy One Get One Autograph 50% Off! Wow. CNN has just posted an article claiming that Walmart wants to replace Toys R Us. Walmart is taking aggressive steps to fill the void left by Toys ‘R’ Us. Sensing an opportunity to appeal to shoppers and grab market share, the world’s largest retailer is expanding its toy selection in stores and online as it gears up for the first holiday season without Toys ‘R’ Us in decades. Walmart (WMT) announced on Thursday that it plans to increase its toy selection in some stores by 30% and expand its website assortment by 40%. It is bringing hundreds of exclusive brands to aisles and holding in-store toy demos. Walmart is also partnering with Ryan, a first-grade YouTube star, on “Ryan’s World” — a line of toys he recommends. Check out the full article HERE. ← TVC Doctor Aphra Comic Set Figures Loose On eBay! ← Catch Up On Some Of The Best The Clone Wars Figures! Could Toys R Us Have Prevented Its Own Death? It’s only been a couple of months since Toys R Us bit the dust. But the ripples of it are still painful. Yes, the retail apocalypse is happening in real-time, but it doesn’t take away any of the sadness that losing our last toy store brings. I have been reading many opinions on Toys R Us’ collapse. And while many factors worked against them succeeding, a financial expert by the name of Dave Ramsey (whom I respect greatly) has a slightly different take on what happened and how, perhaps, it might have been prevented. He believes that a possible scenario existed that was overlooked during their (what he calls) “disruption” in the marketplace. He goes on to say that the “disruption” can be the biggest blessing to your business, but if you’re not prepared for the “disruption,” it can be the biggest threat to your business. He claims this is where Toys R Us failed. Be sure to listen to his final example of how being prepared for “disruption” helped another major chain immensely. After you watch and listen, let us know if you think his logic and example are relevant to Toys R Us. USA Walgreens Exclusive TBS6 [P3] General Veers Found In Canadian TRU! Found! JTA reader Ian A. found the Walgreens exclusive The Black Series [Phase III] 6″ General Veers at his local Toys R Us in Canada. Click through for his report! CNN is reporting that although sales fell 7% last quarter and earning were down more than 10%, shares of Hasbro surged more than 13% yesterday. They are looking forward to moving beyond the Toys R Us fiasco. Click through for the full story. Special thanks to JTA reader Jeff M. for the alert! ← Friends & Family 25% Discount Now At Shop Disney! You think we have it bad in the USA when it comes to The Vintage Collection’s Imperial Combat Assault Tank? Friend and JTA reader Jamie D. sends us a report that this gorgeous vehicle has hit his local Canadian Toys R Us store and the MSRP is $119.99. Yikes. The line will not thrive with these ridiculous prices. By the way, see our full review on this amazing vehicle in our RDRs HERE. ← The Last Jedi Wins Three Saturn Awards! 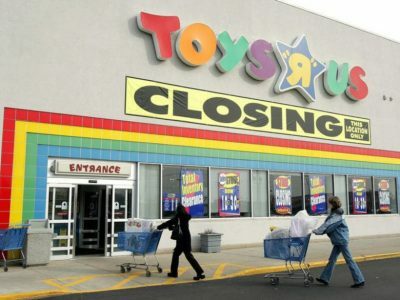 It’s the last day for most Toys R Us stores. The ones by me closed two days ago. But JTA reader, friend, and former TRU corporate employee Russ T. couldn’t resist purchasing the electronic Radio Flyer Landspeeder when it hit discount during liquidation. Check out the video of Russ on our YouTube channel! It’s astounding to me how poorly the Legacy Pack sold across all retail levels. It feels like it sold as badly as the 6″ Special Force TIE Fighter. And now as Toy R Us gets ready to close its doors forever, MORE cases from the warehouse are arriving at 60-%-80% off. It’s the only way to get the 40th anniversary Darth Vader (in the vintage Kenner line look). How did this not sell better than it did? I have never seen something so collector-friendly pile up at retail as this release did. And I have been collecting the modern line since 1995. Again, nothing has piled up like this set in my experience. Hasbro isn’t grabbing the right group of collectors with this stuff. If you’re fortunate to have a liquidated Toys R Us store still open near you, you might want to check out the latets discounts. My local store had a half dozen Rogue One AT-ACTS in stock and with all of the promotions and discounts in effect it came down to $44.99 before taxes. It was certainly worth that price to secure the exclusive figures that will never be re-released from it. You’d be silly to ignore the many things about the modern state of collecting that are devastating the line. Examples like collectors waiting as if they’re vultures for Hasbro stuff to go on clearance at Walmart and TARGET. And seeing Toys R Us’ merchandise that was clearanced out by competitors MONTHS ago sit and collect dusts on shelves are just some of the issues that don’t go away. Granted, Toys R Us has been foolish. They never were competitive with promotional prices and their clearance timing was the worst. But, see the image below. While anecdotal, it paints a broad picture of what is wrong with the Star Wars line. I could beat a dead horse here, but it’s clear to say that there is too much focus on certain Star Wars Entertainment that Star Wars fans aren’t supporting and buying. I have similar pile-ups at my local Toys R Us stores, albeit different products, but the same principles apply. Until the Hasbro line gets back to basics, we’re going to continue seeing these trends. And with Toys R Us gone, it means that either less volume will be produced, or the remaining retailers will be overstocked next. And I don’t think Walmart and TARGET will ever buy another bridge again when it comes to Star Wars. Their current stock levels are so low now that it’s almost impossible to find anything new there any way (except for the same repeated figures that shouldn’t have been reissued). It seems the Star Wars line is being forced into online oblivion. I am at a loss how this Titanic can be turned around. Special thanks to JTA Facebook reader Todd L. for the image! What a coincidence! This store report is in perfect timing with today’s RDR! 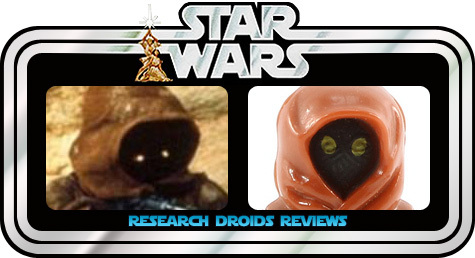 JTA moderator Sjefke found a bunch of The Black Series 40th Anniversary 6″ Jawas at his closing Toys R Us store. This should show Hasbro once again how even a beautiful assortment of figures like the vintage Kenner inspired 40th anniversary line can suffer when figures aren’t spread evenly over the case ratios. One new figure per case. No repeat. No carry-forwards. Figures that sell out before others should then be converted to a solid case assortment to kill scalping. it’s not rocket science. And it will work. 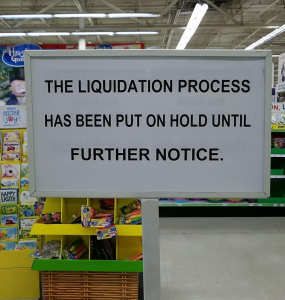 We all know that Toys R Us in the USA is liquidating their inventory, but JTA reader Jason A. sends us a disconcerting image. His local store received a literal palet of Legacy Packs from The Black Series [Star Wars 40] line. How many of these bleeping things did they make? Can we expect more stuff like this to show up? Will the solid cases of Darth Revan finally arrive? Right now these sets are marked down to $23.99, but many other retailers have already cleared these out for $10 or less per pack. Is this a testament to how small our community is, or is it more of a testament to how lousy distribution is? We’ve known for quite some time about this, but Toys R Us had big plans for Wookiee Weekend. It is believed that Zuckuss was to be released this weekend in the USA/Canada. It appears that TRU in Australia is still participating. It all begins May 5th. Check it out! 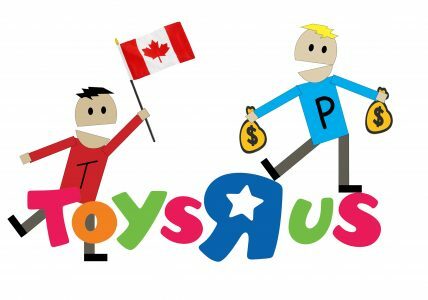 Website Retail Dive reports that the auction for the Canadian branch of Toys R Us was canceled on Monday, since there were no other qualified bids for the Canadian Toys R Us stores other than the $235 million “stalking horse” offer by Fairfax Financial. Once the deal is approved Fairfax Financial will own the 83 Canadian TRU stores. Irish Toy Retailer Smyths will acquire the Toys R Us Stores in Germany, Austria and Switzerland. This deal includes 93 TRU stores and 4 online shops. There are also some new developments for TRU in the USA, Canada, Asia and Australia! Click through for more details! Update: Smyths will rebrand the TRU stores. Details added to the article! ← Mandalorians Confirmed For Solo: A Star Wars Story?! This news is the equivalent of day-old bread now. But in case you missed the story, the CEO of MGA Entertainment in Van Nuys, CA (make of Bratz dolls), put in a nearly $900 million bid on Toys R Us Friday in hopes of revitalizing the chains in the USA and Canada. Will it save the TRU brand? NBC Los Angeles has the full story. ← Rumored Chewbacca And Han Solo "Confirmed"! What’s sadder than sad? I am glad you asked because I have an answer. Sadder than sad is finding more Solo: A Star Wars Story stuff at my closing Toys R Us store (on clearance) than any other TARGET or Walmart in my area. That’s what’s sadder than sad. I hope all of the new product hits all at once so everyone can get the stuff they want. Maybe everyone else will catch up on April 20th. By the way, the article title is really sarcastic. I don’t know if anyone will find new figures at Toys R Us or not. It would be pretty “funny” if Zuckuss ends up arriving there, but I highly doubt it. Hey Canada! ToysRUs.ca has the new Solo products in stock. Special thanks to JTA reader Eric C. for the alert! ← I Can Almost Feel Jabba's Sail Barge In My Hands! ← How Many Klaatu (Skiff Guard) Action Figures Will Fit On The Barge? 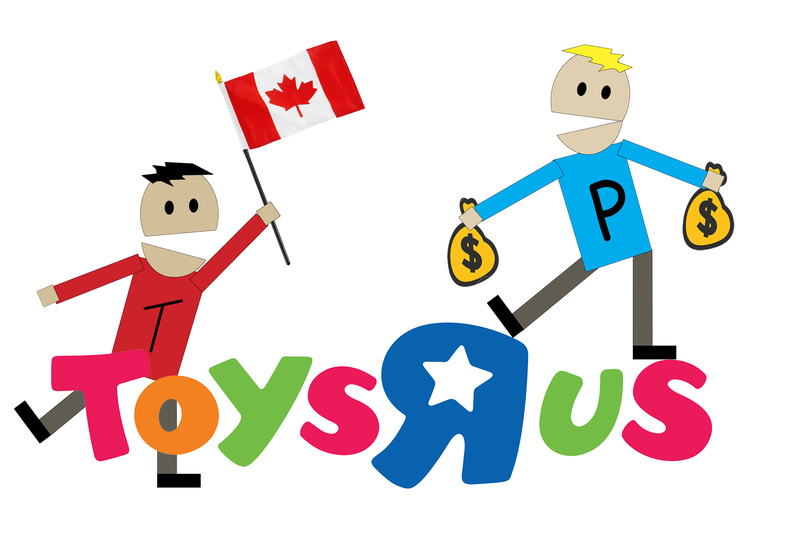 Toys R Us has released documents, giving details for the purchase of the Canadian equity sale. Click through to read more about the Toys R Us Canada auction! A captain always goes down with his ship. You can read the full story here. Can't Or Won't Back The Barge? Back Toys R Us Instead! MGA Entertainment CEO Isaac Larian is still serious about his efforts to buy up to 400 Toys R Us stores in the USA and to keep the name alive. He and several other unnamed investors have already pledged $200 million. But they need much more money to actually have a chance. Larian needs to raise another $800 million. How to do that? Click through to learn more! Click through to find out what’s going on! ← Will Amazon Acquire Some Of The Toys R Us Stores? 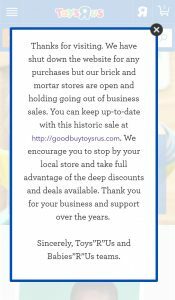 USA today posted a new article outlining the liquidation plan for the closing specialty toy store. Will Amazon Acquire Some Of The Toys R Us Stores? Bloomberg reports that according to insiders Amazon is looking into acquiring some of the Toys R Us stores in the USA. Before you get your hopes up: Amazon has no interest in keeping the Toys R Us brand name, nor will Amazon most likely sell toys at these locations, but will rather use it as a showroom for its own products and maybe as a staging ground for food deliveries. Read the full report at Bloomberg. ← Do You Have Any Burning Questions About Jabba's Sail Barge? Hurry Up And Use Your Toys R Us Gift Cards! If you have Toys R Us gift cards, you only have 30 days left to use them. Check out the latest update from Yahoo! News. Special thanks to Martin M. for the alert!